There are so many advantages to using recycled materials when creating a hardscape garden project — for the environment and your wallet! 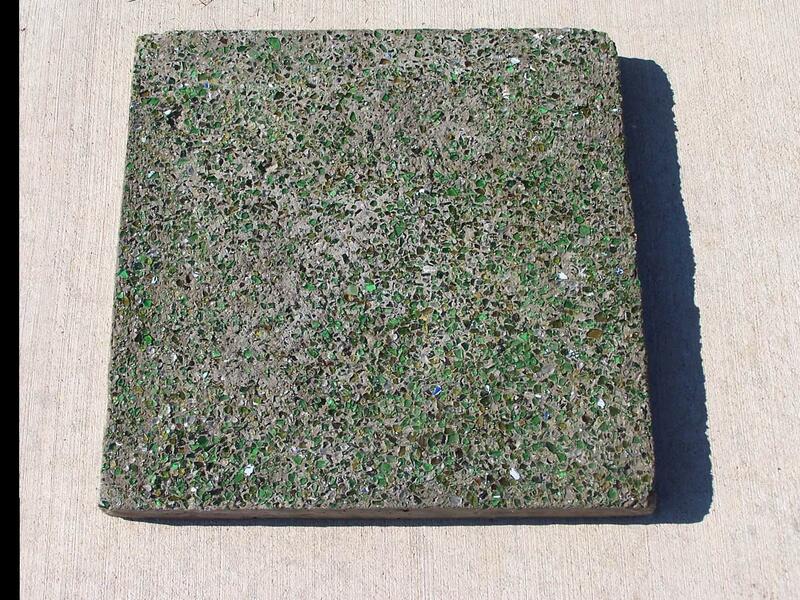 We use recycled concrete for paving systems, recycled glass in stepping stones (see picture,) and crushed recycled stone and granite for patio surfaces whenever possible. An added benefit to using recycled materials? It cuts down on the cost of the installation of a landscape design. If I can incorporate larger pieces of old concrete into a design, the purchase and delivery of new materials is eliminated. Also eliminated -the cost of removing and disposing of old materials. If you think that you can’t afford to install your next hardscape project, be sure to ask your landscape architect/designer about using recycled materials. The savings just may bring the project down in cost enough to fit into your budget.